amended chaps! thanks very much! bump for more results people! Get submitting! 30 Submitted Now! Well done people, keep them coming..
We have now added more engine types, more turbos and 1/4Mile Time to the list! How deep is your pockets leader board really lol. Not really bud, tuning on a budget would be interesting to see how high you can get. Its not just for whos got the most, but if you pull 160bhp and another member pulls same bhp at a lower boost level, comparing specs would be a wise move! Getting some comparable data now! Keep em coming guys n gals! 43 Cars Now! Still Growing! Please if you have results from dyno'ing your car, please post them up! Is there a way to update it if you run a bigger number? Spuddy, Yes contact me at the moment... Ill be making it a way of doing it later! Kemnay, Submit ya results to leaderboard buddy! 47 Now! Keep em coming chaps! I'll have to get mine up there. 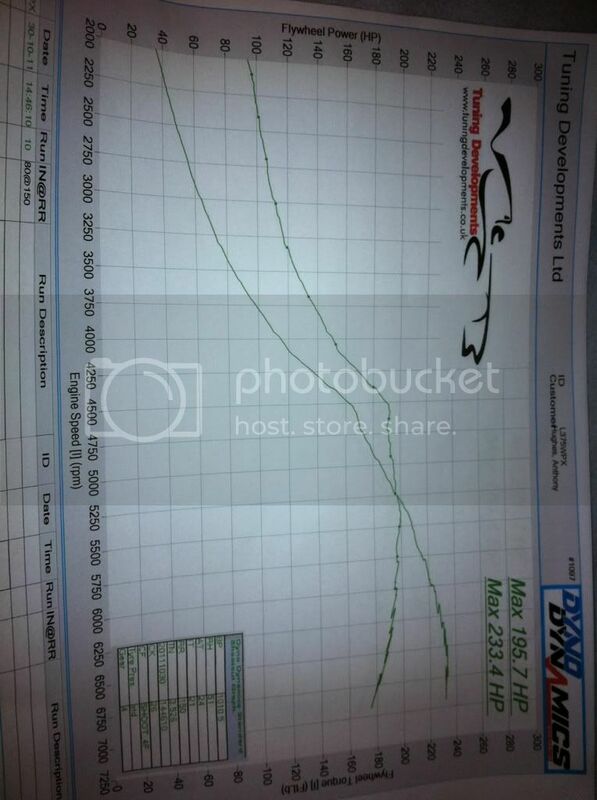 still highest power for a Td04 @ 1bar 262hp good work chris. Phil, get your result up matey! Id love to see that graph! Yes as you say would be highest output on stock motor! 49! Results now! Keep em coming! not a stock motor. quite the opposite really.